I offer several lending vehicles available based on your unique business and credit profile. 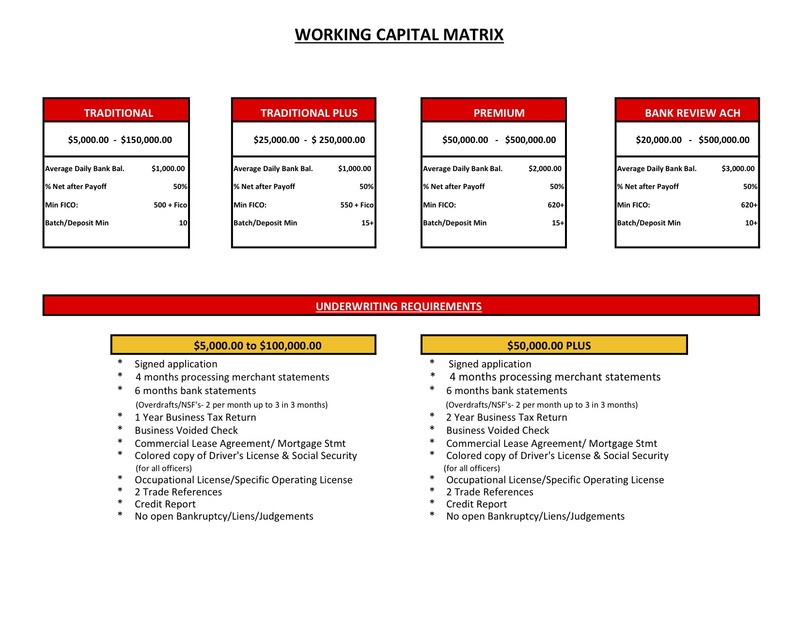 This section is to give you a brief of what I will share in the BLOG to the right (drop down box) regarding the latest news on business loans, business cash flow line of credits, and working capital loans. The main funding option which most of my clients qualify for unsecured business funds of up to $200K. No income verification needed, No collateral, and O% interest for 12 to 24 months. There are no upfront fees to apply. Stated Income, No Collateral, Strictly Credit Based. CLICK HERE TO DOWNLOAD THE APPLICATION. It is more difficult than ever for businesses to get the working capital they need, the small business financing programs I offer, focuses on business owners who may no longer meet bank financing requirements and falling below their bank’s credit requirements. I can access capital for your business that credit unions, home equity loans and commercial banks wont give you access to due to the lending restrictions over the past several years. With the lenders I have to meet your business capital needs, advances from $5,000 to up to $500,000 are available for small business owners. They focused on the business’s historical cash flow and performance allowing them to expand and be flexible in the lending standards. Cash flow loans are generally unsecured loans, whereby the lender looks to anticipated cash flow to repay the loan and requires certain financials and non financial covenants be met. With this type of loan, you take advantage of the reliability and regularity of your company’s revenue streams. Then, you need to be talking to me! Call me to guide you and get you the need your business so much needs!